Ergo Cup | McWane, Inc.
Manchester Tank Quincy Celebrates Ergo Cup Win and Team Service! Fred Simpson from McWane Corporate Safety Department presents Ergo Cup trophy to Orville Jones, one of the team members who worked on MTQ’s project. 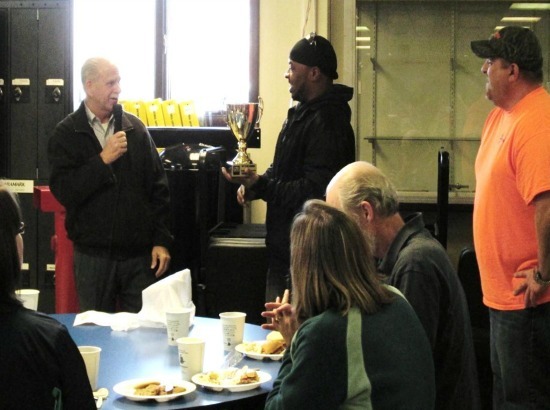 On November 7, 2014, Manchester Tank & Equipment located in Quincy, Illinois, (MTQ) celebrated their first place finish in the Ergo Cup contest by providing lunch to all of its team members. Team members were treated to a fantastic lunch featuring ribeye steak sandwiches, cheesy potatoes, green beans, and cookies. The celebration wasn’t just about the Ergo Cup win. MTQ General Manager Jason Eads also presented service awards to 22 team members that have a combined total of 370 years of service at Manchester Tank Quincy. WOW! Congratulations to the Ergo Cup winners and the 22 dedicated team members for their years of service. We appreciate your service! We are so proud and thrilled to announce that the Manchester Tank Elkhart (MTE) team entry was chosen as the winner of the 2014 Ergo Cup award at the National Ergo Cup Competition held in Orlando, Florida! MTE’s project for the competition was a new two piece paint hook system that significantly reduced the risk of a repeat injury and reduced thread leaks during the washing process by more than 69%. This new process eliminated the need to triple handle 570 cylinders, 42,750 pounds over a nine month period. Over 40 companies nationwide participated in this year’s competition. This is McWane’s second first place winner at the National Ergo Cup Competition. Clow Valve won in 2008 for their innovative entry that required them to re-think how fire hydrants were assembled. 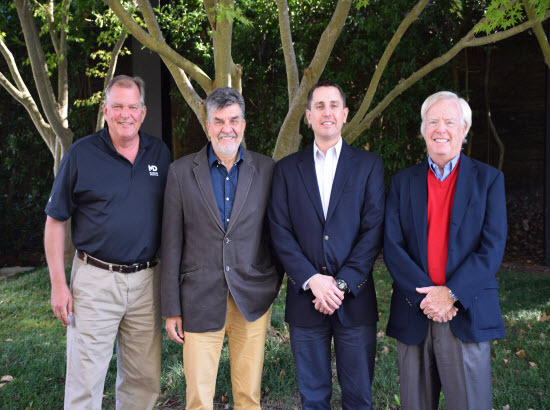 Congratulations to the MTE Team! !